Bill Kenwright presents The Exorcist UK Tour. The spine-tingling live production based on the best-selling novel by William Peter Blatty starts its tour on 2 September 2019. 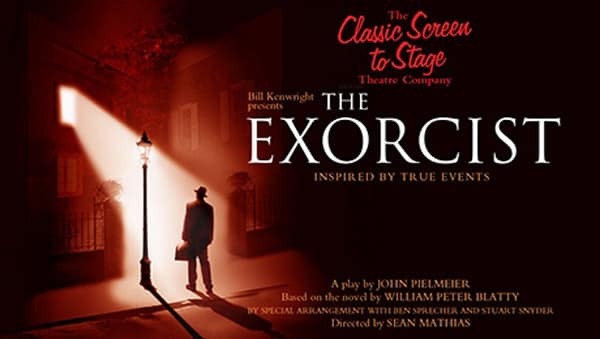 Bill Kenwright presents the nationwide tour of the spine-tingling live production of The Exorcist, based on the best-selling novel by William Peter Blatty. Inspired by true events, this devilishly thrilling tale has been adapted for stage by John Pielmeier and directed by Sean Mathias (Waiting for Godot, No Man’s Land), featuring the voice of Ian McKellen as the Demon. The production comes direct from London’s West End. Please note this production contains adult material and scenes of a sexual nature, which may shock and offend.